Somebody once equated having young kids to owning a blender, but not having a lid for it. The metaphor is accurate – most parents know how messy and chaotic kids can be! 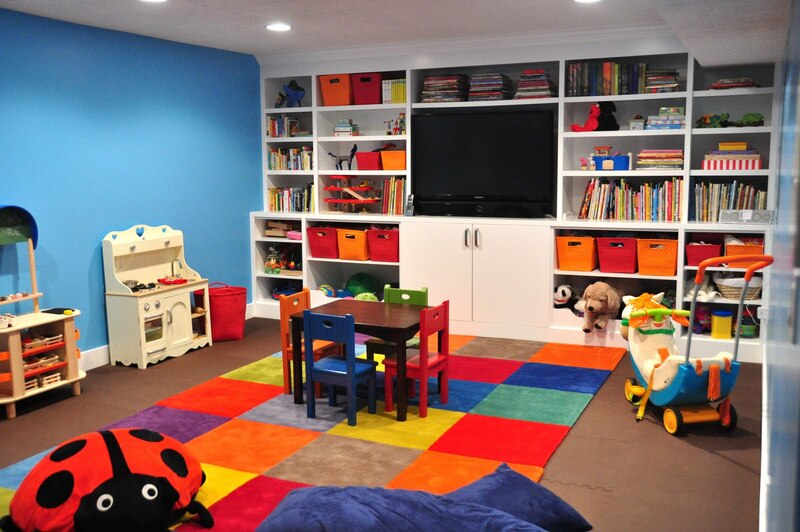 This is why finishing a basement and turning it into a kid’s playroom is an idea that appeals to a lot of parents. There are a lot of advantages. Firstly, it’s totally secure. There are no exterior doors and patio windows to worry about, so parents can leave their kids to play in the basement without them worrying about wondering off. Secondly, it’s self-contained. Kids can make an epic mess downstairs, but that leaves the rest of the house easier to keep clean and tidy. Some parents joke that putting the kids in the basement “quarantines” them! Lastly, finishing your basement space specifically to house a kid’s playroom means that you can totally customize it to your kid’s needs – adding a lot of fun for them, and peace of mind for you. 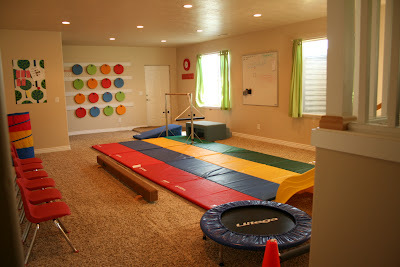 Two important details to address first of all are how kids get in and out of your finished basement playroom, and what kind of flooring you have down there. Also give some serious thought to what sort of flooring you use. Plush carpet is great for toddlers because it cushions the impact when (not if) they fall over – but with fingerpaints, PlayDo and juice boxes being staples of the toddler lifestyle, any carpet that you install is going to face a lot of punishment. An option many parents prefer is some kind of hardwood floor, covered with soft foam tiles. These interconnect, like a giant jigsaw puzzle, and are bright, colorful, squishy and durable. They’re a great way to protect your flooring and your kids at the same time! A lot of parents also want to install entertainment for their kids, like a TV, video game system or computer with learning software. These are all great ideas, but be strategic about how you install them. Finally, you need to think of your kid’s safety and security. Installing a video camera system in your basement is also an interesting idea. A regular baby monitor can easily be repurposed and that gives parents the flexibility of a hand-held monitor to look at if they need to disappear upstairs, or into the garden for a moment. You should also make sure they’re a fire-extinguisher in your basement (again, out of the reach of little fingers) and a fully-stocked medical first aid kit – but also you should think of the larger picture; like a means of escape in case of an emergency. Because one of the appeals of a basement playroom is that kids can’t disappear from it – but that also means it’s tougher for them to get out in the event of a fire. That’s why a means of egress, like a basement window well, is an ESSENTIAL. Installed during the basement finishing process, a basement window well is a window that opens up to allow people to climb out of a basement if the stairs become inaccessible – and allows firefighters and emergency workers to access the basement if the rest of the house can’t be entered. Adding a means of egress is part of national building code – and an essential step in any basement refinishing project. However, it’s also something parents should want to do for their kids; because it could make the difference between life and death if the worst ever happens.